Need a little #MondayMotivation every day of the week? Searching for a brilliant quip or comeback you can pull out on demand? 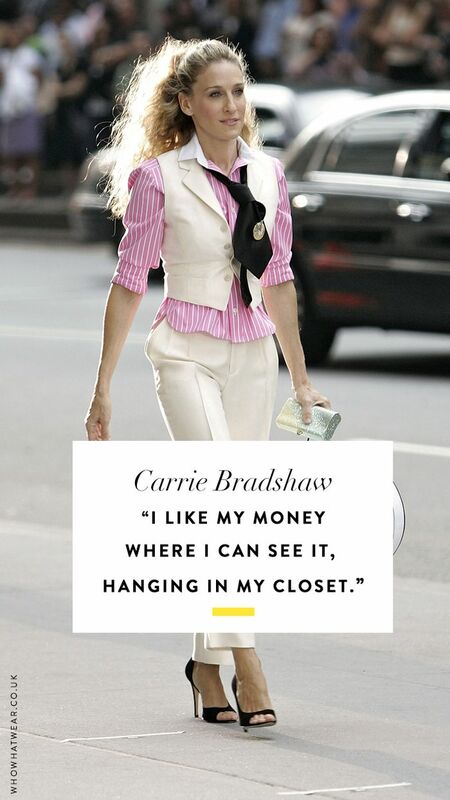 Then look to the fashion crowd's most outspoken with these genius fashion and style quotes. Industry heavyweights reach iconic status as much for their musings on the subject of fashion as they do their services for it, and the spoken word holds as much gravitas as an innovative cut, cloth, or print, for it is just as likely to influence. We scoured the fashion history books to uncover the most memorable snippets of wit and wisdom from the mouths of fashion's greats—past and present. From Marc Jacobs to Tom Ford, as well as Kate Moss and Vivienne Westwood, never be stuck for an Insta-ready fashion quote ever again. Click through to see the 48 best fashion quotes of all time. Next up, how to buy a Chanel bag.